Skin tells our history: lifestyle choices, amount of sun exposure, and age. Our face and neck give the most clues to our age because they are exposed to the sun and elements more than any other part of our body. When considering the options available to treat these imperfections, many would rather not pursue expensive and sometimes risky face and neck lifts. Others don't have the time it takes to heal after invasive surgery. 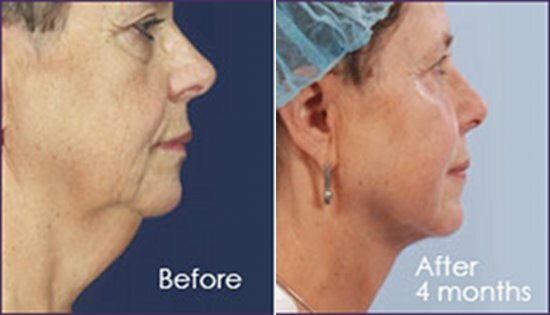 Now there is a new minimally invasive treatment that is taking the cosmetic surgery world by storm. CoolLipo (laser-assisted lipolysis) is a laser-based technology that breaks up and removes fat cells in not so easily treatable areas such as under the neck, jowls, and chin. It also works to target sections with loose skin, such as the arms. CoolLipo works by actually liquefying fat, making it easier to break up and remove. It is different than standard liposuction because of a unique wavelength that allows it to directly compress collagen and tighten skin from the inside out. The procedure is simple and most patients report only minimal pain. Tiny fibers are inserted into small incisions made in the skin. These fibers carry laser energy to the desired areas. A physician controls the energy exerted by the laser, thus destroying fat cells more gently than conventional liposuction. This unique approach stimulates collagen production, promoting tighter skin over several months. In addition to the excellent results, the procedure is becoming popular due to less downtime and greater convenience. CoolLipo is a quick procedure that can be performed under local anesthesia in a physician's office. It typically takes 1-3 hours. Most patients are ready to return to work the next day and experience only minimal bruising and swelling. Some patients see immediate results; improvement in skin's tightness can continue up to 6 months. Conventional liposuction patients are even using the procedure as an "add-on" after Lipo because of its exceptional skin tightening effect. Locate a physician in your area to find out how CoolLipo can work for you.